After school on a Friday, a double-decker busload of students drove away from their everyday lives to spend their weekend in the chilly mountains of North Carolina. They spent this weekend learning about God and how he fits in each of their individual stories. The Edge Retreat was all about identity and why it’s important to tell your story truthfully. So after the retreat, we asked the students how they would introduce themselves to the author of their biography and what it means to them to know that God is the author of their story. And this is who they are. “‘Sit tight and buckle up because this is going to be an emotional journey for the both of us,’ is what I'd tell the poor soul tasked with the feat of writing my biography. Not only would I ramble on incessantly to the point of both of our exhaustion, I would keep jumping and skipping over the timeline of my life. I guess all I could tell them at first is that I am an average 15-year-old girl who is just trying to pass her next AP exam and get into the college she's been dreaming of since birth—University of Florida. I'd say that I am a budding musician, baker, lover-of-learning, soon-to-be surgeon who will say yes to anything and is not afraid to take risks or put herself out there. Gee, this is going to be a long biography. “I am Logan, I love that God gave me special talents like being a swimmer, being creative, and being able to act on a stage. I am so grateful that God gave me those talents so that I can use them for his glory. “Realistically, I would want to begin by introducing myself by explaining all the ‘perfect’ parts of my story. My favorite memories, moments, friendships, vacations, while leaving out all the messy stuff. Only to realize I live a life full of both the perfect things and the messy ones. With that in mind, I would start off by explaining and introducing my real story with the stress and anxiety I find myself stuck in, but then adding on all of the love from God that inspires me to be who I am. I may be far from ‘perfect,’ but I know it’s inspirational to be known as a child of God. And that is me, that’s the basis of my story. “How I would introduce myself to the author of my biography would be that my story is not good and it's not great, but God has put me here on this earth to fulfill a certain purpose that he has commanded. God has put everyone on this earth for a purpose. Some get it easy and some get it hard, and it's our job as Christians to fulfill the promise God has given us no matter the circumstances. “If I introduced myself to the author of my biography, the first thing I would say is that I am a lover of Christ and all things theatre, and I am so blessed to be the hands and feet of Jesus every day. Disney has always been my happy place—which is basically a requirement being related to Zach Van Dyke—and family is always my priority. I also think that it would be crucial to include some of my less desirable traits like the fact that I find myself obsessing over the way I appear on social media, using my words to make others feel inferior, and I constantly catch myself gossiping about people and complaining about one thing or another. I am so grateful that by the conclusion of this retreat, I was able to tell my story truthfully knowing that doing so gives those around me the chance to not just see my highlight reel, but also be inspired by the broken pieces. Being able to include the messy details in my story with my loved ones sheds lights on the truth that we are all sinners, and regardless, we are all still loved. “If I were to introduce myself to the author of my biography, I’d probably tell them how much the church and the people I’ve met there play such a big role in my life. I’d include all of my interests and hobbies like singing and hanging with friends. Mention all of my relationships with people and important events both good and bad, especially the ones that have shaped me to be the person I am today. I’d tell them all of my struggles and hardships that I’ve faced and overcome. And my accomplishments and successes that add to who I am. 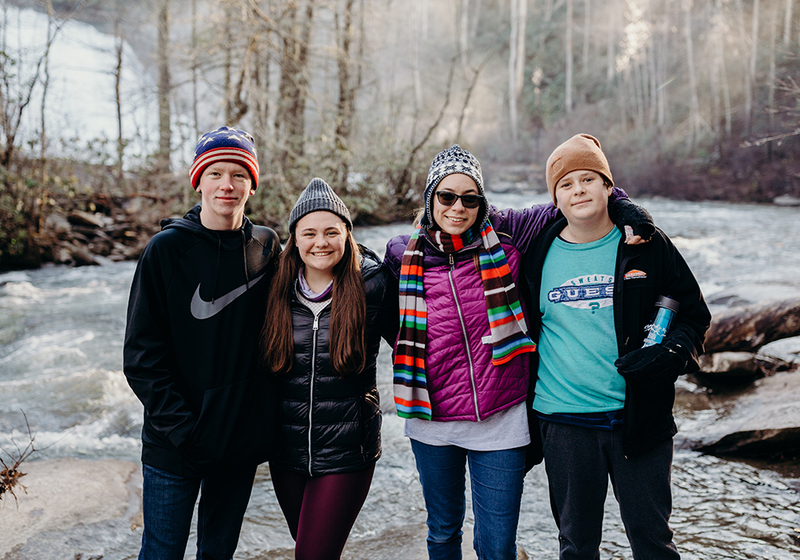 Summit Students helps connect middle and high schoolers with other students, develop their relationship with Christ, and discover where they fit in the work of God and the world around them. Find more information here!